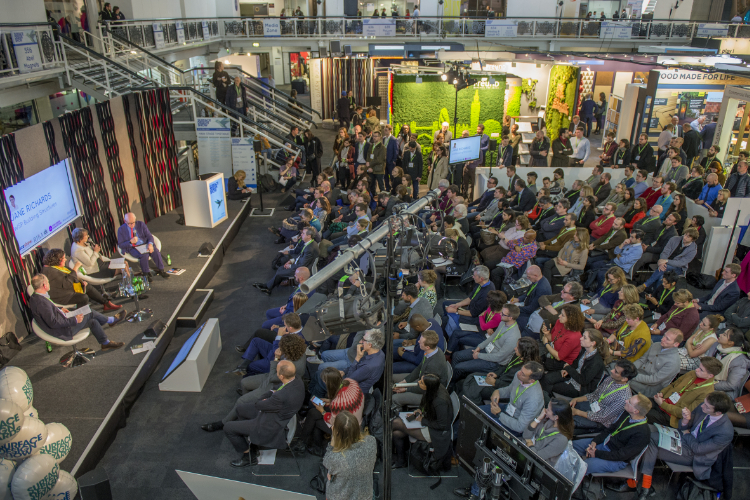 Modularity – the answer to a residential housing crisis? 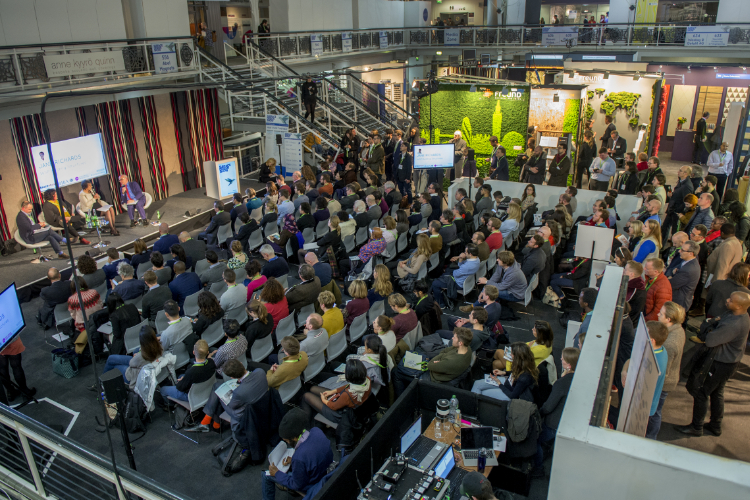 Surface Design Show 2019 proved itself to be as relevant as ever, with an opening night debate titled Factory-made Housing: is this the solution to building better homes long-term? 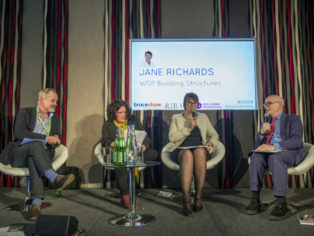 The talk was in association with RIBA and New London Architecture. 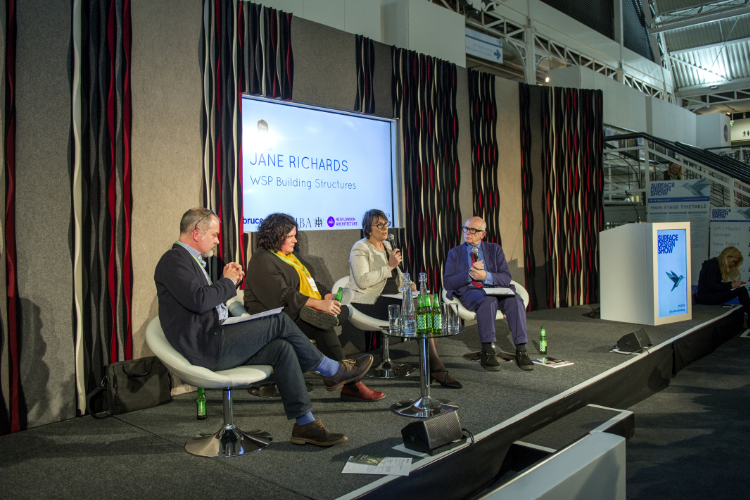 The discussion was chaired by NLA chairman Peter Murray, who was joined by Nigel Ostime of architects Hawkins Brown, Hazel Rounding of architects shedkm and Jane Richards of engineering professional services firm WSP. To begin Peter Murray took the audience back to post war Britain, when Harold Macmillan was faced with the ambitious task of building hundreds of thousands of homes. Macmillan’s answer? Pre-fabricated housing. It was hugely successful in terms of meeting targets and the needs of the nation, but the style and design of the structures has become less popular as time has passed. Faced with another housing shortage could modular housing, made using Modern Methods of Construction (MMC), be a large part of the solution? 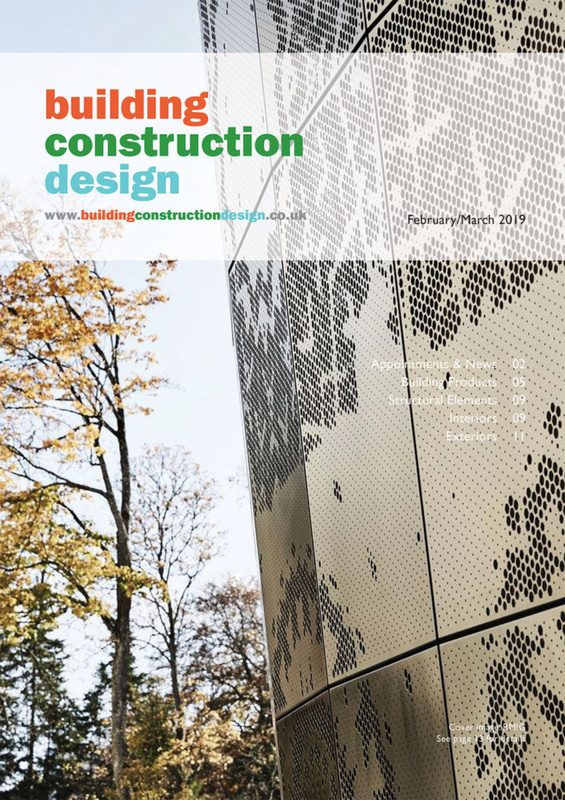 Could contemporary design overcome the apparent PR problems existing modular or pre-fab homes face, given their proven ability to solve build problems fast? Nigel Ostime of Hawkins Brown explained the benefits of MMC combined with a Vertically Integrated Supply (VIS) chain, if embraced by the sector: the potential to eliminate RIBA Stage 4 and create a faster, safer, lower carbon, less wasteful production model and the potential to employ a more diverse workforce in the process. But there are barriers to the method. For one, cost: opening a factory to produce pre-fabricated housing through MMC methods is no small endeavour. This would create a major barrier for developers to entry of the pre-fab homebuilding market. Another barrier are the outdated misconceptions about pre-fabricated homes being flimsy and unattractive. These need to be eliminated. “The best way to address the problems is to build them (pre-fabricated homes) and prove their efficacy” proffered Nigel Hawkins, who went on to cite Pocket Living as an example of how to do MMC well. 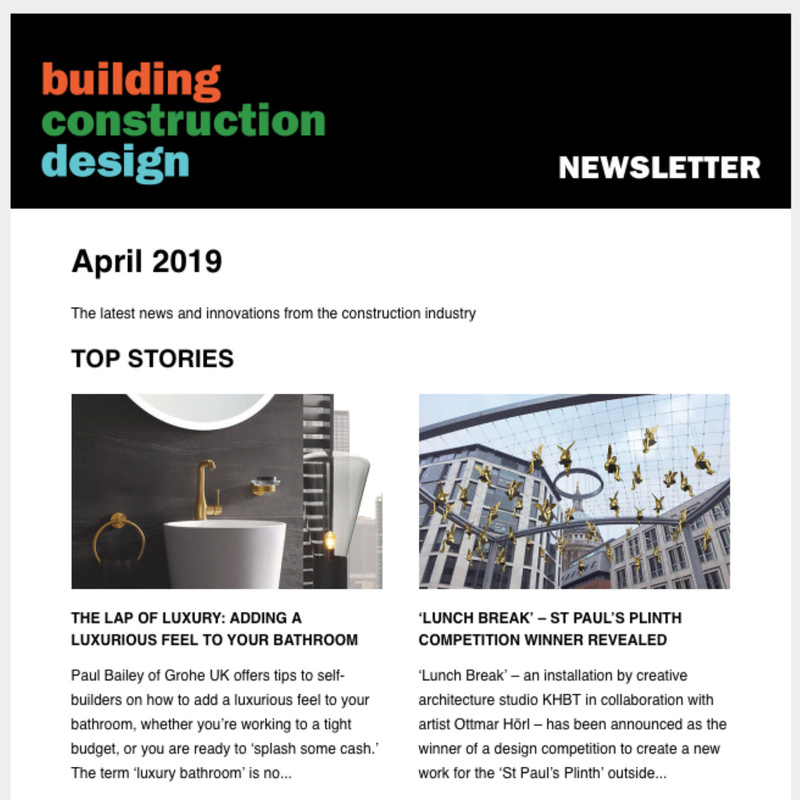 Helen Rounding, from architects shedkm, also came out in emphatic support of MMC, highlighting the excellent design and quality that can be achieved. After the last recession Helen Rounding felt that the housing market needed to be challenged and disrupted, which shedkm began to do with their Town House project – certainly a neighbourhood of homes that would rebuff some of the misconceptions around factory built houses. A last barrier may simply be rhetoric. We always talk about rooms rather than space, when it is space that is the issue. This habit of using a syntax that is in its nature more personal is particular to residential building of course. 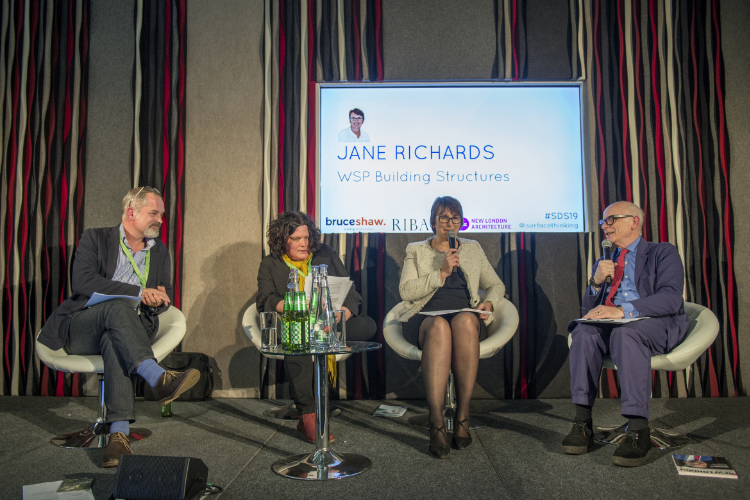 Jane Richards pointed out that the term pre-fab, with all its aforementioned connotations, is not helpful in selling the idea. Modular building systems are no longer rectangular boxes, they are much more flexible. 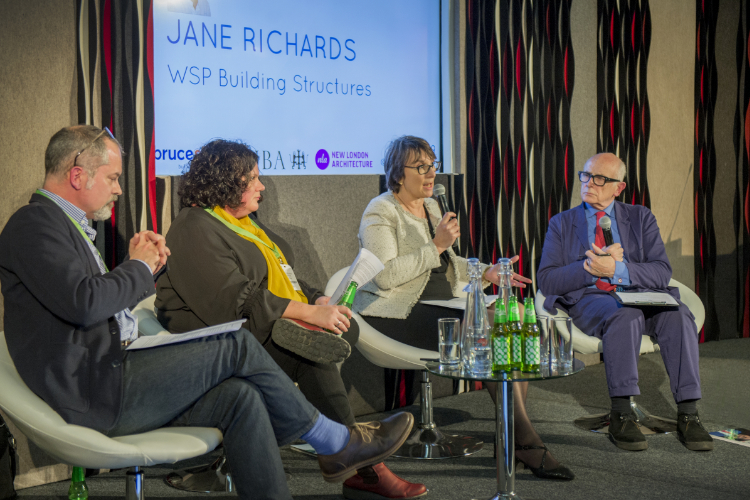 Jane Richards of WSP joined the talk with a positive note, having observed a shift in thinking over the last 18months to a more favourable attitude to offsite manufacturing. 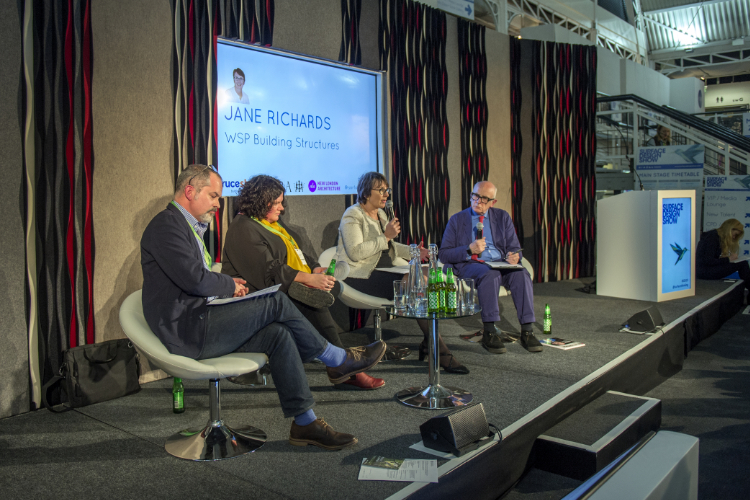 She believes that the discussion across the industry has progressed from if to how and the construction world knows it must now respond to the need for building modular spaces in volume. Berkely Homes, having invested in its own factory, is predicting that 20% of its pipeline will be pre-fabricated. And L&G and Laing O’Rourke are also embracing and investing in the change too. Shifting from a building to a manufacturing mindset has another issue – it requires a steady demand for the supply. In order for this to happen inter-governmental departments need to be behind the cause to ensure the availability of land in the right locations upon which to build. And there lies the last barrier. 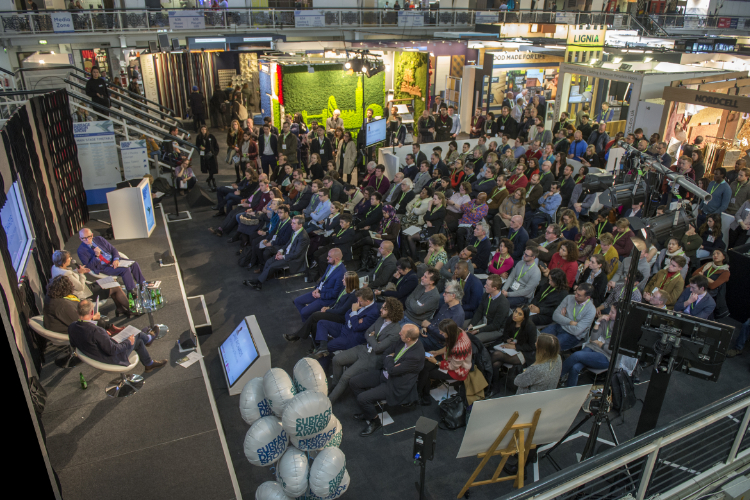 Once government has recognised the vision, the industry needs to reorganise itself and deliver using Modern Methods of Construction that meet the requirements of the prevailing housing crisis, fast and for the future.